I wrote about my team's proposal for the City of Tomorrow Challenge before, in this post - and I have exciting news to share! Our team was one of 13 to be chosen to move forward as a semi-finalist. 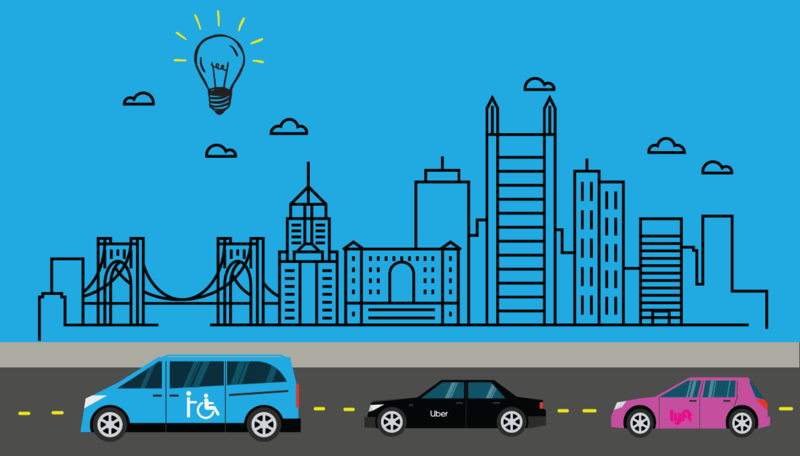 This means that we're one step closer to bringing accessible ride-sharing to Pittsburgh. We're really excited, and really passionate about making this happen. Click here to access our survey - it shouldn't take you more than five minutes, but will give us really useful information as we work on our proposal. -Paint a story about the value ride-share brings to your daily routine. -Talk about the barriers you face everyday. -Have something specific you'd like to us to consider? Share this with as many people with disabilities in Pittsburgh as you know!